Brewer Description: (from Mikkeller webshop) In the spontan series we present Spontanlemon – this time, forming an alliance with Lemon that were generously added underway the brewing process, creating a truly unique, distinct and very sour beer. 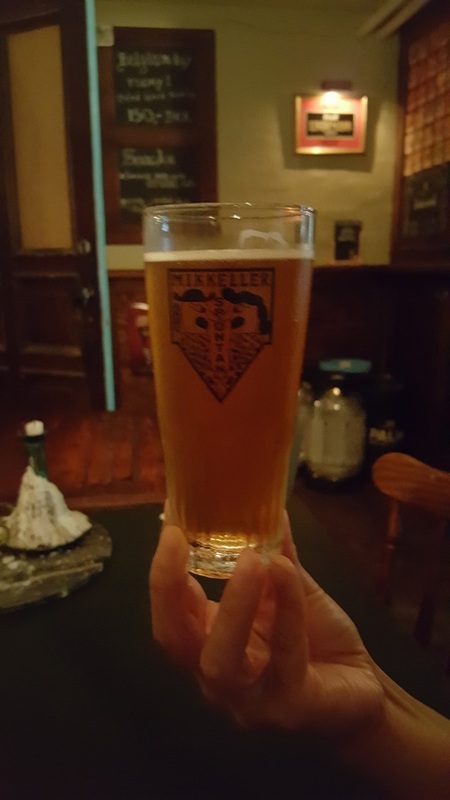 Intro: On tap at Koelschip, Copenhagen, into a Mikkeller Spontan mini gueuze type glass. Appearance: It was a clear copper colour with a half finger off white head that dissipated fairly quickly, leaving sparse lacing. Aroma: Lemon, tart, sour, wood, oak with very light funk. Taste: Lots of lemon. Lemon and carbonated water, sourness, some light oak and funk. Mouthfeel: Medium to light bodied with high carbonation. Overall: This was ok, but not one of the better beers in the Spontan series. **Apologies for the poor photo below.